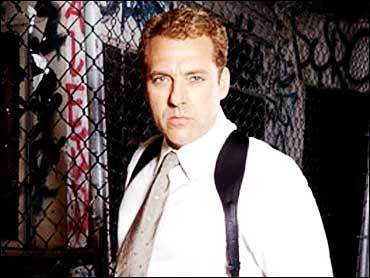 Veteran actor Tom Sizemore took a break from the big screen to star in the CBS cop drama "Robbery Homicide Division." Sizemore visited The Early Show to discuss the Los Angeles police lieutenant he plays on the show. When the show premiered in September, many critics gave it rave reviews. Produced by Miami Vice alum Michael Mann, the show is set in Los Angeles. Sizemore's character, Sam Cole, is a strict, by-the-book police officer who takes his job very seriously, especially when he's undercover. The show is shot on high-definition tape using mostly handheld cameras, which gives it a distinctive look and allows scenes to take place in locations seldom caught on other television shows. "Robbery Homicide Division" airs on a special night Saturday, Nov. 30, 10 p.m. ET/PT on CBS.